It's time to take a closer look at Detroit! 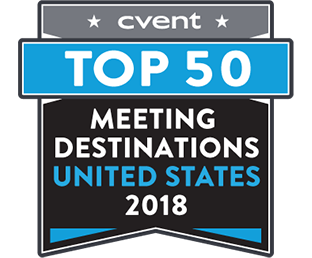 Cvent's Detroit meeting and event planning guide has all the details to help you plan an unforgettable convention or conference. 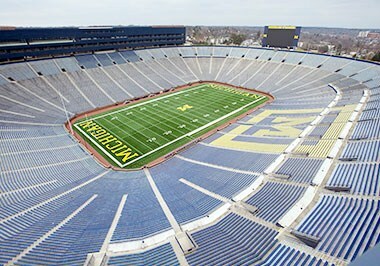 You will be amazed at Detroit's renewed energy and vitality. This remarkable city attracts more than 19 million visitors annually and continues to transform with more than $10 billion in new development projects planned downtown. World-class cultural attractions, vibrant nightlife options, contemporary art, and outdoor activities abound. With so much to see and do, Thrillist calls Detroit one of "America's Most Fun Cities." All this makes now a fantastic time to bring your meeting to The D.
USA Today reports that Detroit Metro Airport (DTW) was recently ranked the No. 3 mega airport in passenger satisfaction by J.D. Power. It provides nonstop service to nearly 140 destinations on four continents. Detroit is a 90-minute flight — or less — from 60% of the country's population. It is a major hub for Delta and offers services from all other major domestic airlines, six low-cost carriers, and several international carriers. 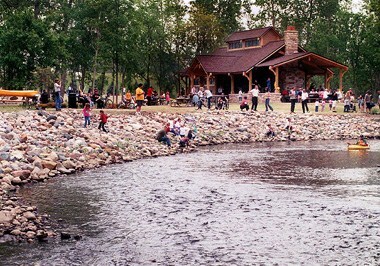 Most suburban and city attractions are just a 20-minute drive away. Getting around downtown Detroit has never been easier. The Detroit People Mover elevated rail system offers panoramic views of the city as it comfortably and conveniently connects passengers with the central business district, restaurants, Cobo Center, other meeting venues, and attractions. Or hop on the Qline streetcar system for convenient transportation to some of the city's largest business, educational, medical, cultural, and entertainment destinations. Meetings Today says, “Detroit pulsates with positive energy.” Cobo Center is Detroit's main meeting space. It ranks among the best and most technologically advanced convention centers in the world and is a Green Meetings Industry Council ASTM/APEX certified facility. It features 723,000 square feet of exhibition space, flexible outdoor spaces, free high-speed Wi-Fi throughout, and top-tier technology in every room, including two giant exterior digital displays. Cobo's stunning 400,000-square-foot Grand Riverview Ballroom and three-story glass atrium have spectacular views of the Detroit River. Suburban Collection Showplace in nearby Novi is Michigan's premier exposition, conference, and banquet center. Recently expanded, the facility features more than 400,000 square feet of exhibition and prefunction space that includes 67,000 square feet with 40-foot, column-free, clear-ceiling height. The second-story ballroom overlooks the newest exposition space. 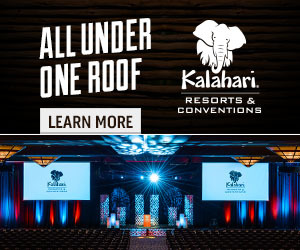 Along with the versatile Diamond Banquet and Conference Center, Suburban Collection Showplace now offers 33 meeting, prefunction, and banquet rooms for groups of up to 8,000 people, all under one roof. 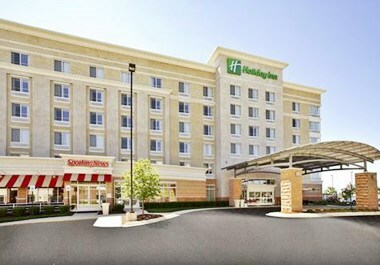 The Hyatt Place Detroit/Novi boasts 124 guest rooms and two suites, and it's conveniently connected to the Suburban Collection Showplace. The D offers more than 100 distinctive venues to accommodate groups of every size. 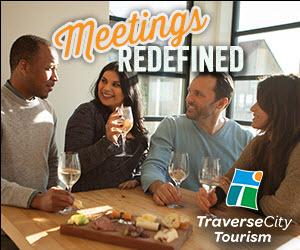 Give your meeting or convention a unique Detroit feel and flair at one of its many unique meeting spaces, from posh hotels and bustling casinos to the Detroit Zoo and historic Ford Piquette Avenue Plant. As Detroit's reputation as a meeting destination grows, so does its number of distinctive boutique hotels that offer a unique Detroit experience. 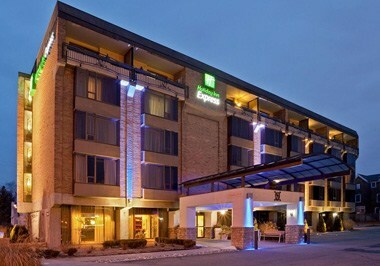 The area is home to about 33,000 competitively priced hotel rooms, plus more than 5,000 located downtown. A few notable establishments include Aloft Detroit at The David Whitney, featuring exquisite Neo-Renaissance design and style; Detroit Foundation Hotel, located in the historic former Detroit Fire Department headquarters; and the renovated Trumbull & Porter hotel in historic Corktown. Detroit's newest venues include The Siren Hotel, housed in the 1926 art-deco Wurlitzer Building; Shinola Hotel, located in the thriving shopping district on Woodward Avenue; and Element Detroit, set in the 14-story Neo-Gothic Metropolitan Building that was built in 1925 as a jewelry emporium. 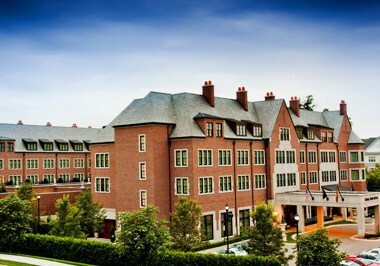 Luxury suburban properties include the historic Dearborn Inn, elegant Royal Park Hotel, and upscale The Townsend Hotel. Detroit knows how to raise a glass and show guests a fabulous time. Food and Wine states, “Detroit is America's next great beer city.” Celebrate at any one of dozens of local breweries and distilleries, the refreshing end to a busy day. Detroit's food scene continues to flourish and grow. From inventive chef-inspired tastes to iconic Coney dogs to traditional Greek street eats to award-winning sushi and steaks, your meeting attendees will never go hungry. Downtown Detroit's retail options show shoppers the love with unique, independent boutiques and national retailers including Carhartt, Shinola, Nike, John Varvatos, Pingree Detroit, Bird Bee, and Lululemon. The surrounding suburbs have distinctive shopping as well, from the upscale Somerset Collection to Great Lakes Crossing Outlets, the state's largest indoor outlet center. 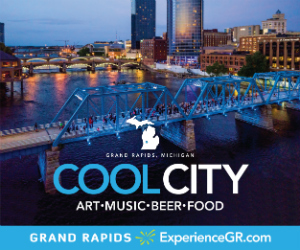 The region is also filled with must-see, world-class cultural attractions, such as the Detroit Institute of Arts, the historic Motown Museum, The Henry Ford Museum of American Innovation, and the Automotive Hall of Fame. It's home to the Charles H. Wright African American Museum, which celebrates African-American history and culture, and the Arab American National Museum, the first and only museum in the United States devoted to Arab-American history and culture. Lively, fun, and focused on the future, it's time to plan your next meeting in Detroit and experience it for yourself. Detroit. It's GO time. Located in the southeast region of the Lower Peninsula of Michigan, Detroit holds the title of the only major city in the contiguous United States found north of the Canadian border. Sitting along the Detroit River, this 143-square-mile city is visited by 15.9 million people each year. Founded in 1701 as a military settlement for the French, Detroit flourished in the 19th century as its waterfront location made it a hub for shipbuilding and manufacturing. At the turn of the 20th century, Henry Ford helped further escalate the city's growth by forever transforming it into the epicenter of the American automobile industry. Ford's legacy pervades today, giving Detroit its nickname as Motor City and attractions such as The Henry Ford and the Automotive Hall of Fame. The explosion of the automobile industry also brought a wealth of jobs, leading to a population boom of more than 600 percent in the first half of the 20th century. Today nearly 700,000 people reside in the city's borders, and more than four million live within the greater Detroit metropolitan area. 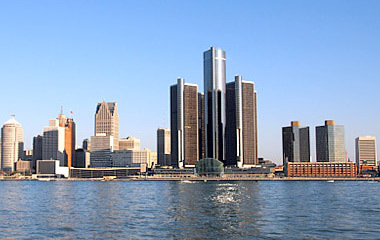 Among U.S. cities where African Americans are in the majority, Detroit is considered an important center for black culture and heritage, Detroit serves as home to the Second Baptist Church of Detroit, the oldest African-American church in the Midwest, and the Charles H. Wright Museum of African American History, the largest museum of its kind in the world. Detroit is also the birthplace of Motown music, as Berry Gordy founded Motown Records in the city in 1959, the studio of which is now preserved in the Motown Historical Museum.